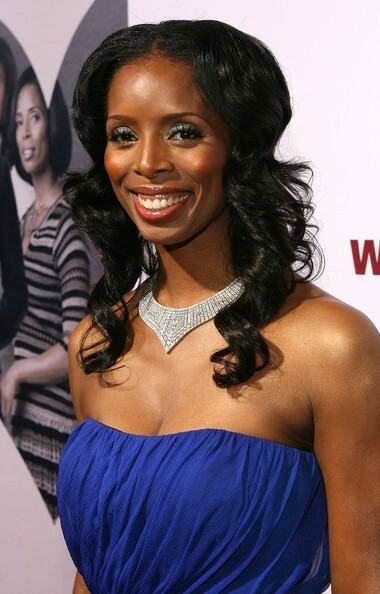 Tasha Smith was born on the 28th February 1971, in Camden, New Jersey USA. She has earned her popularity and net worth as an actress, best known through her appearances in popular TV series “The Tom Show” (1997-1998), “Meet The Browns” (2009-2010), “For Better Or Worse” (2011-2014), and films “The Whole Ten Yards” (2004), “Daddy`s Little Girls” (2007) among others. Have you ever wondered how rich Tasha Smith is? According to sources it is estimated that Tasha Smith`s overall net worth is $1.5 million, an amount earned largely through her career as an actress, however, as of 2011 she has launched her own organic perfume line, called “US” which has also benefited her net worth. Tasha grew up in Camden living with her mother and twin sister, Sidra Smith. Her childhood is not like the one described in the books, as her mother fell under the influence of drugs, which eventually led to Tasha`s drug problems in her teens and early 20s. However, she managed to overcome these problems by accepting God and converting to Christianity. Upon her successful rehab, she entered the acting industry, and debuted in the film entitled “Twin Sisters” which also featured her sister Sidra. Although it was only a small role, it was enough to propel her deeper into the industry, and in 1995 she appeared in the film “Let It Be Me” which featured Campbell Scott and Jennifer Beals in the main cast. Following her success on the big screen, Tasha dedicated herself more to TV in the following years. In 1996 she earned a role in the critically acclaimed TV series “Boston Common”, aired for two seasons. Soon then earned the role of Tanya Cole in the “The Tom Show” aired from 1997 to 1998, which also increased her popularity and net worth. At the beginning of the 2000s, she turned more to films than TV series, and in 2004 she appeared in the film “The Whole Ten Yards”, alongside Bruce Willis, Matthew Perry and Amanda Peet. In 2007, she appeared in the films “Why Did I Get Married” and “Daddy`s Little Girls” both directed by Tyler Perry. In the next few years she continued to collaborate with the famous director and actor, appearing in TV series and films “Meet The Browns” (2009-2012), “Why Did I Get Married Too” (2010), alongside Janet Jackson, and “For Better Or Worse” (2011-2014), for which she won the Outstanding Actress in a Comedy Series award. Her latest ventures in the acting industry include roles in the TV series “Power” (2015) and Empire, furthermore, she is to appear in the film “Polaris” scheduled for a release in late 2015 as it is currently in post-production, which will also increase her net worth. When it comes to her personal life, Tasha was married to Keith Douglas from 2010 to 2015. Their arguments date back to 2014 when Tasha appeared in court asking for a restraining order from her husband. Their divorce was finalised in March 2015. 1 In November 2014, Smith appeared in court to request a restraining order against her husband Keith Douglas, who in documents filed prior to the court appearance, she said accused her of having affairs with other women. Smith's friend Tisha Campbell-Martin acted as a character witness. On December 12, 2014 it was reported that she had filed for divorce from Douglas. 2 Tasha's twin sister, Sidra Smith, was a contestant on the game show, Cash Cab (2008). 3 She is a childhood friend of TV and screen actress and fellow Newark, NJ native Tisha Campbell-Martin. Tasha first came to California as Tisha's house guest. 4 Identical twin sister of Sidra Smith. 5 A close friend of Tyra Banks, it was revealed on the The Tyra Banks Show (2005) that she is also a friend of Flavor Flav.